After the tragic sinking of a cargo ship, one solitary lifeboat remains bobbing on the wild, blue Pacific. The only survivors from the wreck are a sixteen-year-old boy named Pi, a hyena, a zebra with a broken leg, a female orang-utan - and a 450-pound Royal Bengal tiger. Since it was first published in 2002, Life of Pi has entered mainstream consciousness and remains one of the most extraordinary works of fiction in recent years. In October 2005 Canongate launched a competition with The Times to find an artist to illustrate Yann Martel’s international bestseller. Soon the competition expanded as the Globe and Mail and The Age newspapers also launched a search in Canada and Australia.From thousands of entries, Croatian artist Tomislav Torjanac was chosen as the illustrator for this new edition of Life of Pi. Now readers can enjoy this extraordinary tale with his glorious colour illustrations. 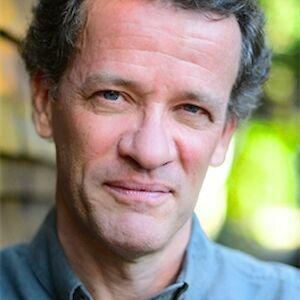 Yann Martel was born in Spain in 1963 of Canadian parents. After studying philosophy at university, he worked at odd jobs and travelled before turning to writing. He is the author of the internationally acclaimed 2002 Man Booker Prize-winning novel Life of Pi, as well as the novel Self, the stories The Facts Behind the Helsinki Roccamatios, and the collection of letters to the Prime Minister of Canada What is Stephen Harper Reading?. Yann Martel lives in Saskatchewan, Canada.